The benefits of using unmanned aerial vehicles (UAVs) or drones as crop scouting tools are obvious. They enable farmers to spot problems in the field they didn’t even know they had, often more quickly and easily than traditional scouting methods. That — coupled with the fact UAVs have dropped dramatically in price in recent years — is why more growers in Alberta are utilizing them to help nurture their crops and improve overall farm management. Markus Weber is co-founder of Landview Drones, an Edmonton-based company that sells fixed wing and multi-rotor UAVs and also provides operator training. Since the start of the business in 2015, the vast majority of their customers have been farmers and agronomists, reflecting the rising interest in drone technology in the agriculture sector. Weber says his company integrates everything a farmer or agronomist requires in order to operate a drone themselves, rather than hiring a professional UAV service provider. “We outfit them with everything they need, from the drone itself to the sensors and all the software they need to be able to process the data; and lastly, we would provide the training to be able to do it legally and safely,” he says. UAVs today are generally easier to operate than ever. Weber notes while some of their farm customers originally bought drones for fun, they later discovered how useful they could be for spotting problems in their fields. 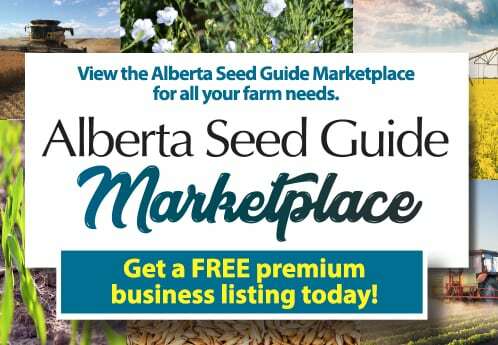 “People often buy them for recreational uses, and then once they start using them, they realize what a great scouting tool it makes and they start using it on their farm,” Weber says. Weber says the insights gained from an eye in the sky can help assess general crop health and inform farm management decisions, such as where to spray to best control weeds, insects and disease. He adds drones are also useful for spotting patterns in the field that could indicate serious issues with farm equipment, such as a problem with a seeder not operating properly that may be causing uneven germination in a field. “All these kinds of things that just become plainly visible from the air aren’t as easily visible from the ground,” says Weber. Robin Harrison is chief drone pilot for JTS Agrow, a farm input dealership near Bruce, Alta., that also provides UAV services for farmers. He believes time is a big reason why drones are growing in popularity among farmers and agronomists. Ag drones are capable of producing a lot of data, such as Normalized Difference Vegetation Index or NDVI maps, which can be used to assess variability in crop vigour. But managing vegetative remote sensing data such as this can be a daunting prospect, which is why many growers who want to go beyond simple crop scouting and have their fields mapped for precision ag purposes, such as variable rate input applications, often choose to go the service provider route. 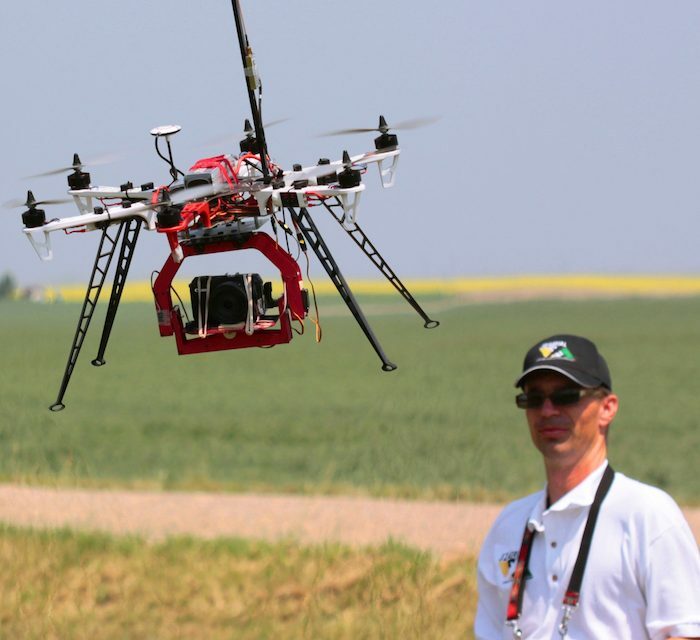 Chris Neeser, a weed scientist with the pest surveillance section of Alberta Agriculture and Forestry, has utilized UAVs in some of his research work. He believes those utilizing drones for precision ag need to develop the necessary expertise to be able use the software and interpret the data correctly. While he believes drones can perform a very useful role, Neeser stresses the current technology is not yet up to par with what a human scout can do — namely diagnosing a problem after it’s been spotted. “I would say UAVs are useful for field scouting but they’re not a replacement for boots in the field. You still have to go in there and verify what the images show, because the images do not necessarily provide you with the details you need to make a diagnostic of what’s going on,” he says. Weber agrees the analytical capabilities of drones may be limited, but feels it likely won’t that much longer due to rapid advances in artificial intelligence and the accelerating pace of sensor development. “The flight technology has gone way ahead of the ability to produce good data from it. Right now, there are many kinds of maps you can generate with it but none of those really tell you what the problem is in a particular part of the field — they just tell you where there might be a problem,” Weber says.